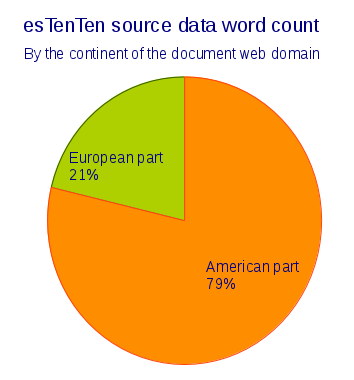 The Spanish Web corpus (esTenTen) is a text corpus created from the collected internet texts. The corpus belongs to the TenTen corpus family which is a set of the same processed web corpora with the target size 10+ billion words. Sketch Engine currently provides access to Tenten corpora in more than 30 languages. The corpus contains subcorpora based on the language varieties – European Spanish and American Spanish. Particular Spanish varieties were downloaded from web domains in the respective continents. Part-of-speech tagging and lemmatisation were performed using FreeLing analyser with Spanish configuration, see Spanish FreeLing tagset. See graphs and more information about texts in the Spanish Web corpus 2011. Initial version – 2.5 billion tokens. Crawled by web crawler Heritrix. Tagged by TreeTagger with UTF-8 Spanish parameter file applying Stuttgart Spanish tagset. Kilgarriff, A., & Renau, I. (2013). 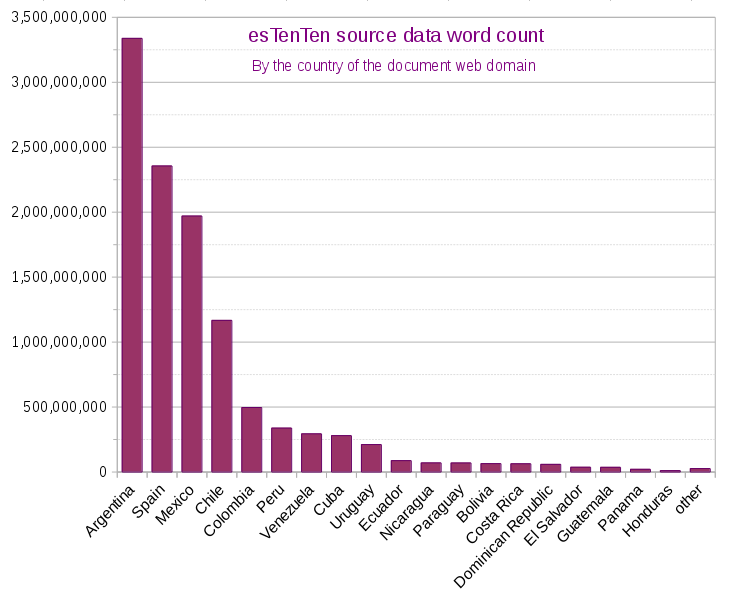 esTenTen, a vast web corpus of Peninsular and American Spanish. Procedia-Social and Behavioral Sciences, 95, 12-19. Sketch Engine offers a range of tools to work with this Spanish corpus. Sketch Engine offers 20+ Spanish corpora.